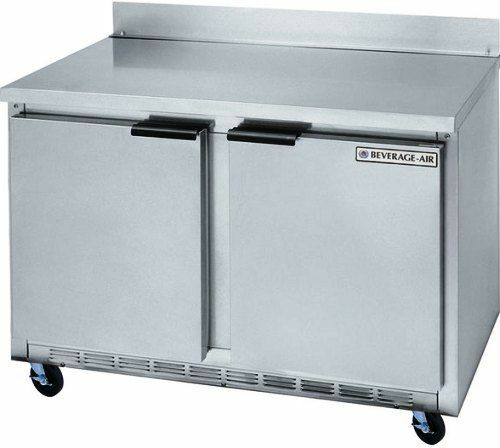 Beverage Air WTF48AHC Two Door Worktop Freezer - 48", 7 Amps, 60 Hertz, 1 Phase, 115 Voltage, 13.9 cu. ft. Capacity, 1/2 HP Horsepower, 2 Number of Doors, 4 Number of Shelves, 0 Degrees F Temperature Range, 35.50" Work Surface Height, 23" W x 25" D x 23" H Interior Dimensions, Bottom Mounted Compressor Location, Side / Rear Breathing Compressor Style, Swing Door Style, Solid Door, Left/Right Hinge Location, Counter Height Style, Doors Access, Durable stainless steel exterior, Cabinet features foamed-in-place polyurethane insulation, Interior cabinet holds temperature at 0 degrees Fahrenheit, Tested to perform in ambient temperatures of 100�Fahrenheit. Product Name WTF48AHC Two Door Worktop Freezer- 48"
This Beverage-Air WTF48AHC 48" two door compact worktop freezer's versatile design is perfect for providing out of the way, frozen food storage in your bar, hotel restaurant, club, or prep kitchen. The freezer cabinet holds your frozen meat, poultry, fish, and vegetables while the worktop creates additional space in your kitchen to complete prep tasks. The 2 1/2" thick worktop is perfect for prepping ingredients and plating dishes. The 4" removable backsplash helps keep your kitchen tools and ingredients from rolling off the back of the worktop. The double, self-closing doors allow easy access to your most popular frozen ingredients, entrees, and desserts. Plus, the door has a stay-open feature for added convenience as you restock items or work to unload food from the freezer. 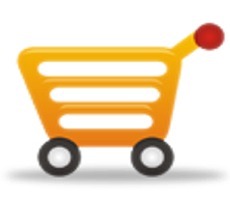 Two adjustable steel wire shelves make it easy to organize your food products for added efficiency. Boasting a durable galvanized steel construction with stainless steel front, sides, door, and grille, the anodized aluminum interior is corrosion-resistant to protect against rust for a long-lasting addition to your establishment. This unit runs on eco-friendly R-290 refrigerant. This specialized refrigerant has an ozone depletion (ODP) of 0 and a global warming potential (GWP) of 3, making it an environmentally-responsible choice for your business. This unit's 1/2 hp compressor uses CFC-free R-290 refrigerant to maintain a consistent temperature. In addition, the capillary tube refrigeration system maintains temperatures at 0 degrees Fahrenheit and below to ensure your frozen foods are stored at the proper, safe temperature. To further optimize temperature control, each cabinet is insulated with 2" thick foamed-in-place polyurethane insulation. For added convenience, this unit's 6" casters make it easy to rearrange the equipment in your kitchen or move the unit out of the way for cleaning. This worktop freezer unit requires a 115V electrical connection.